Our saree draping service is very popular. 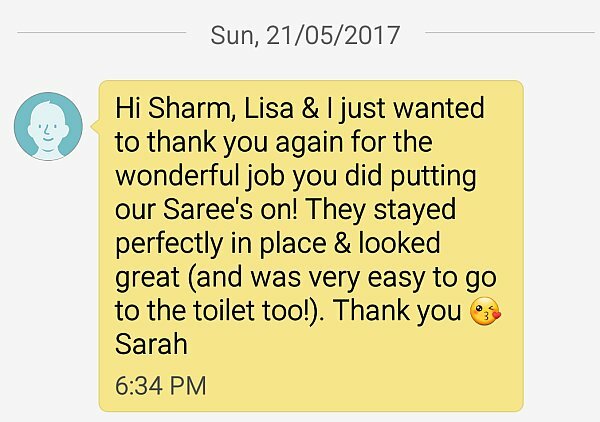 We will be happy to discuss with you your preferred styles, the look you are aiming to achieve and we can advise you on how to bring out the best in you and your saree! 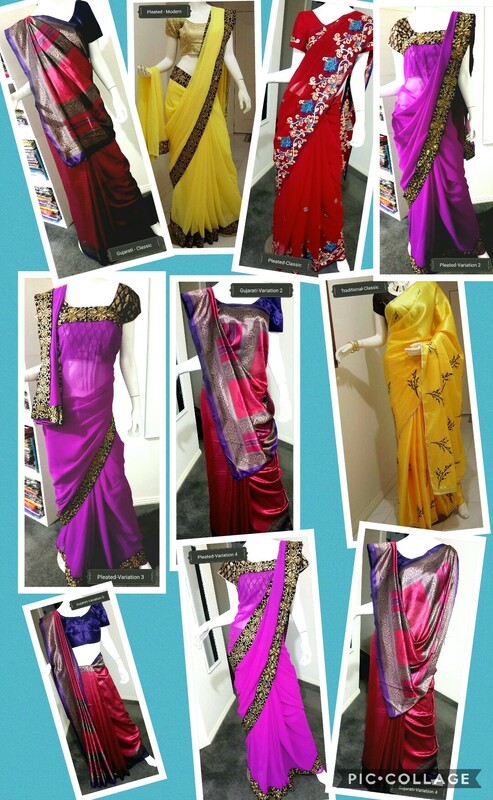 We prefer if you are able to come to Glen Waverley for us to dress you in your saree however, in certain limited circumstances we are able to come to your preferred place to dress you up. If you come to us in Glen Waverley, cost of dressing is $30 per person. Doorstep service is $70 per person. For brides and bridal party dressing, please discuss with us your needs and we can provide you with a quotation. 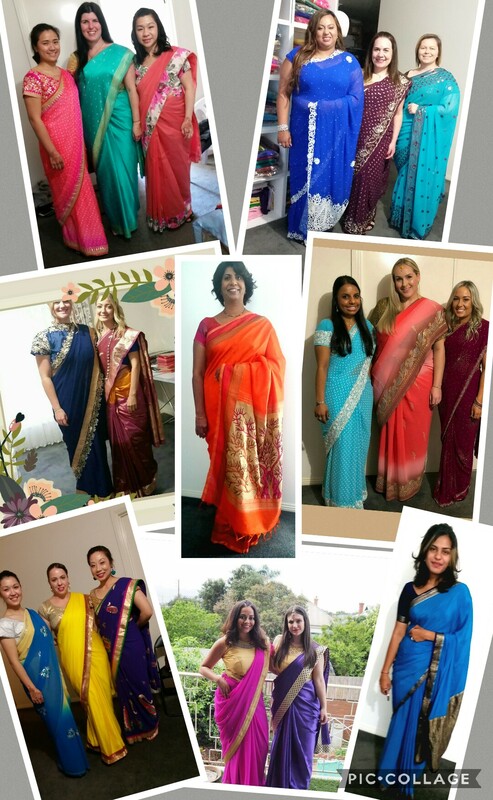 Below are shown some sample draping styles that we can offer…..
….. and here is a sample of some ladies that I have dressed in the past.